The Island of Capri is a paradise in vibrant color. You'll find beautiful blues in the grottos on the coast and luscious red in your Caprese salad at lunch. A wonder to behold, the Blue Grotto is a cave that is lit with surreal blue light. 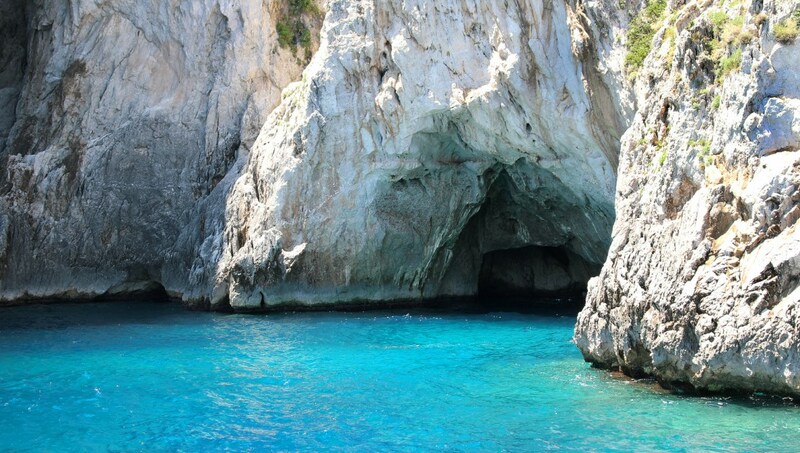 Take a boat ride into the grotto and immerse yourself in the depths of Capri's Blue Grotto. 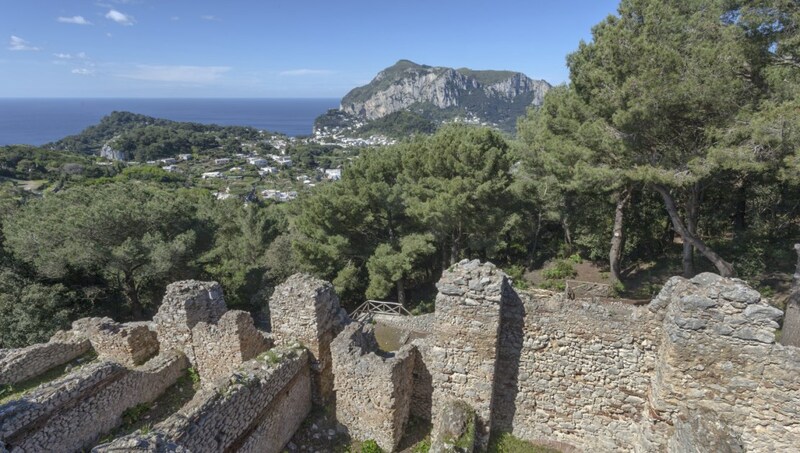 Stop by Villa San Michele to take in a view of Capri over 300 meters above sea level. When you're done looking at the awe-inspiring view, take a tour of the gardens. You'll find relics from Egypt and many other classical antiquities as you make your way around the villa. 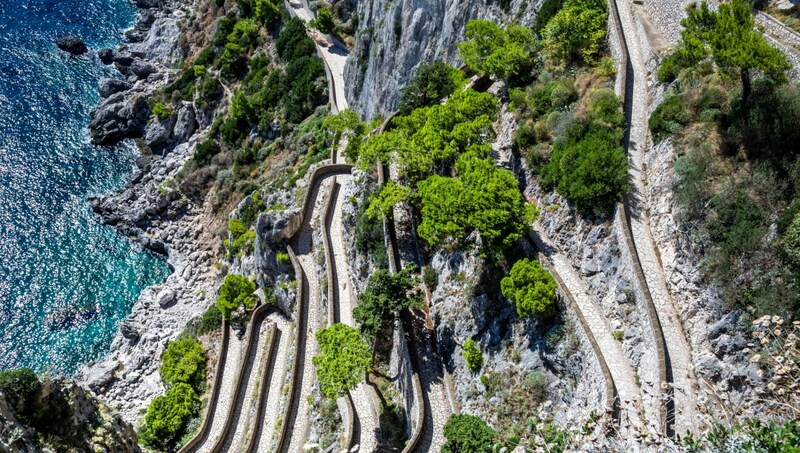 Enjoy the remarkable natural beauty of Faraglioni when you visit Capri. The oceanic rock formation is formed by erosion from the salty waves, creating a picturesque landscape. Lose yourself amid the beautiful marble slabs and seemingly endless corridors, and follow the footsteps of Emperor Tiberius--Villa Jovis is one of his former residences. Fit for an emperor, the villa is impressive inside and out. Note that Villa Jovis is closed to the public on Tuesday. Via Krupp is rumored to have been commissioned by a businessman who wanted an easier commute to his favorite watering hole in a nearby grotto. Via Krupp is occasionally closed due to avalanches, so be sure to check before heading towards this historic footpath. Monte Solaro was once a favorite spot for local artists, who were inspired by the natural romance of the mountaintop. 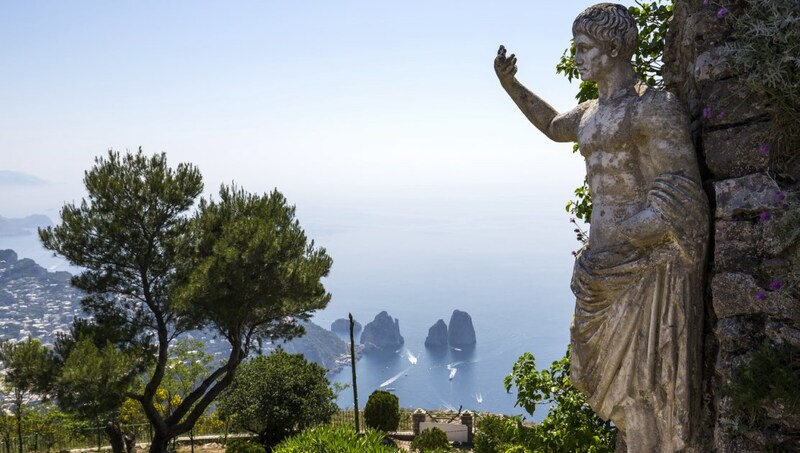 Find tranquility and creative inspiration on Monte Solaro and be sure to pay a visit to the statue of Emperor Augustus while you're up there. 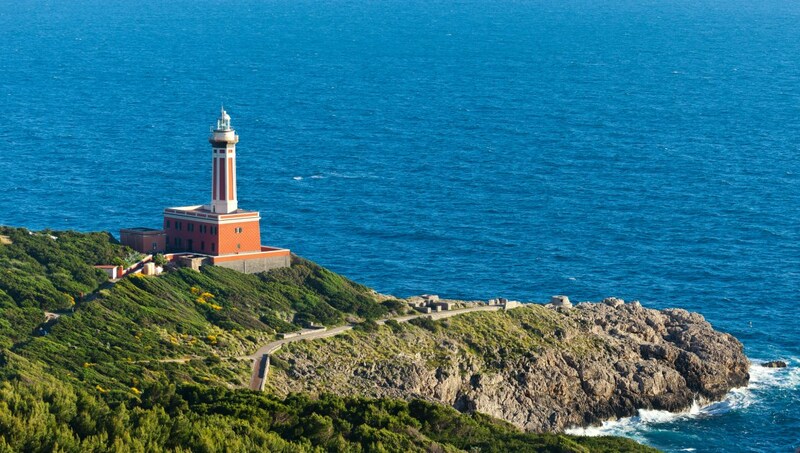 This 19th century lighthouse sits on a rocky bay favored by locals and visitors alike. You'll see a light flash every three seconds--after all, the lighthouse is still functioning. Active minds will appreciate the many quotations dispersed throughout Capri Philosophical Park. At the turn of the century, the Adler-Karlsson family created the park to pay homage to 60 Western philosophers. 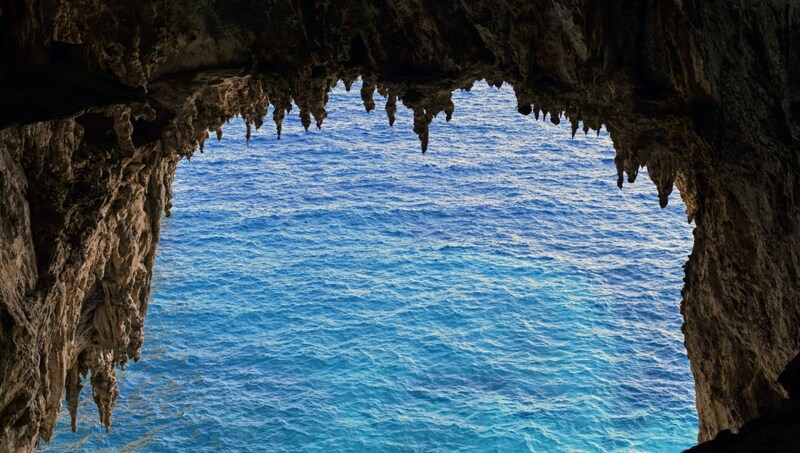 Achieve your dream of visiting a cave that once housed Neolithic men and see Grotto delle Felci while you stay in Capri. While at this grotto, take a moment to appreciate the plethora of archaeological findings--hundreds have been unearthed over the years. 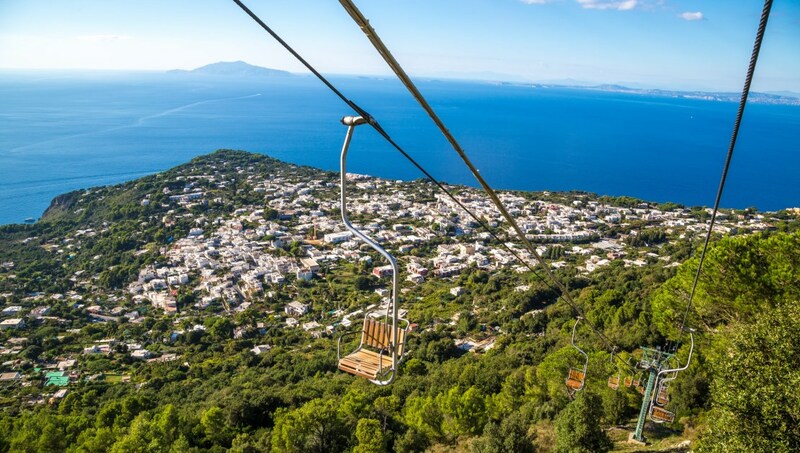 How to Get Around Capri? The center of Capri is best seen on foot. As you leave the city center, we recommend taking one of many local buses. Please note, from mid-March to November, only local residents may drive within Capri so if you bring your own car you'll have to leave it at a port just outside Capri. What to Eat in Capri? While you're in Capri make sure you try a Caprese salad! Heavy hitters in Capri include fish and fresh vegetables served with lots of olive oil. If you're feeling adventurous--try some squid! It is considered to be a local fare. 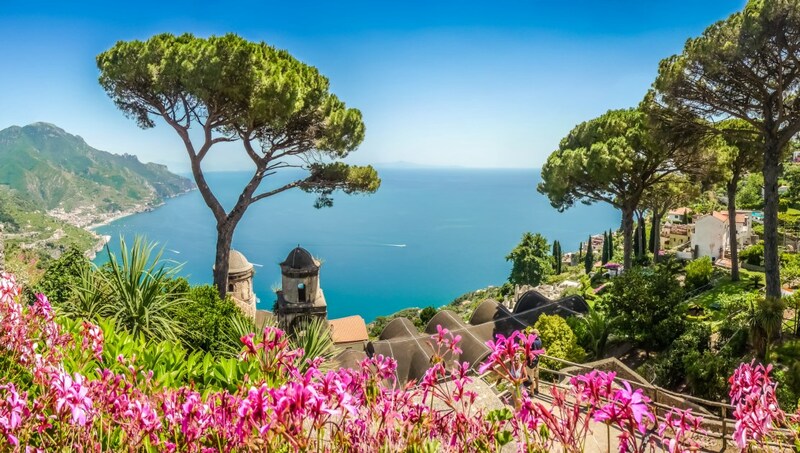 Weather-wise, Capri is never colder than around 60 degrees year-round, and the weather is fairly pleasant from April to November. 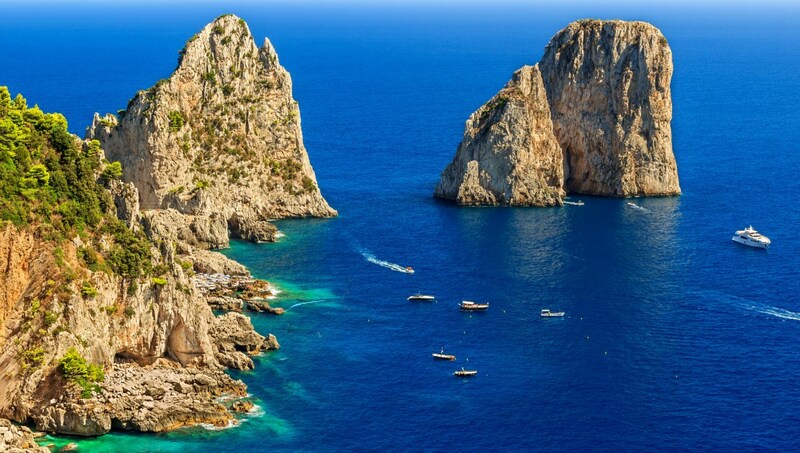 The best time to go to Capri is the summer when temperatures are in a comfortable range of 70 to 95 degrees. Very well organized trip included all the hot spots, the agency very kind and kean about their customers, I am personally faced a hard circumstances to reach them but they were calling me every 10min to give me the confidence and support to pass this hard situation, and they offer me to postpone my trip to the next day for free, really very respectable agency.